Aluminium Bahrain B.S.C. (Alba), on course to have Line 6 Safe Start-Up and First Hot Metal on January 1st 2019, held a Mini Town Hall session on Thursday, 06 September 2018 at Alba. 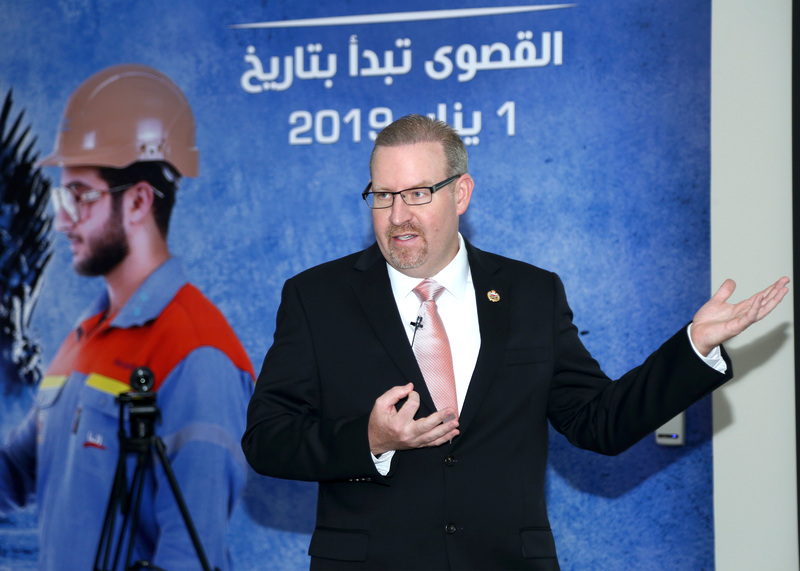 Delivered by Alba’s Chief Executive Officer, Tim Murray, the Mini Town Hall session gave a brief overview of Line 6 Expansion Project’s progress along with an update on Safety and overall market conditions. The CEO speech also focussed on key aspects that will sustain the growth of the Company – Line 6 as a unique opportunity for the future of Alba; importance of applying the highest levels of ownership in all aspects of tasks, and effective mentoring and coaching of new employees who have recently joined Alba for the Safe Start Up of Line 6. Alba’s Executive Management, Directors, Management, Line 6 Start-Up teams and employees attended the Mini Town Hall session.